Matt has the ability to inspect a house in a thorough manner while keeping the buyer well informed throughout the process. When there are unique findings that aren’t easily explained, Matt has a network of professionals that he can reach out and consult with, giving the Buyer expert advice on the spot. His reports are done in a timely fashion with photos to provide a baseline to the buyers of the condition of the home at the time of inspection. He does all of this with in a very friendly and accommodating way. We are sure to recommend Matt at 3rd Eye to Buyer clients, as one of our preferred partners! My team and I highly recommend Matt from Third Eye Home Inspections as his detail to inspections is second to none. When a client hires Matt, whether it is a buyer or a seller, they can be assured that the home inspection will be done thoroughly. Clients are provided with peace of mind knowing they have been fully informed on all inspection aspects. Matt does not sugar coat anything, he just tells you the facts. Our sellers and buyers are definitely satisfied with Third Eye Home Inspections. Matt is the man! I pass his name along to everyone of my clients looking for a good, honest home inspection. He’s well educated and experienced, he gets in the crawlspace, walks the roof and gets in the attic whenever possible. If he doesn’t have an answer for you on something- rather than making something up he says “let me find out” and calls a professional. All around great guy and gives good advice. Will help complicated problems seem easy to understand and gives advice about ongoing maintenance to try and prevent future problems too. My clients always ask me if I know of a good home inspector and I can confidently refer Matt from Third Eye Home Inspections to them. He is professional, knowledgeable and does a thorough inspection when my clients are purchasing or selling their home. Matt clearly explains the inspection process to my clients and even gives great recommendations to prevent and solve any potential problems as a new homeowner. I know my clients will be taken care of when they choose Matt for their home inspection! ~ Jennifer Nardone with Key Sales Group, Century 21 Erie Shores Realty Inc. I used Third Eye Home Inspections when I purchased my current home last month. Matt’s services were very thorough and I was extremely impressed at how professional he conducted his business. He was very knowledgeable about his line of work and I liked the fact that he actually walked the entire roof, and even got into the crawlspace to inspect it. We did not get that from our past inspectors. Matt was very pleasant to deal with and I highly recommend him to anyone who needs an accurate home inspection! I have known Matt personally for 3 years now and consider him a great resource and have had many clients express their satisfaction after using him for their home inspection. He is thorough, knowledgeable and takes the time to educate the homeowner. Matt is a licensed tradesman and has worked in the construction industry prior to becoming a home inspector. He uses his past experience to help the homeowner understand the inspection process and can make recommendations to help solve potential problems. 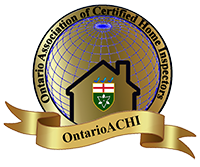 For a reliable, caring and qualified Inspector, Third Eye Home Inspections is top of the list. Matt is professional, courteous and always delivers a comprehensive home inspection report that is easy to understand. He is able to schedule inspections within a week and his rate is competitive. Matt makes himself available to answer any questions and does so promptly. Matt provided me with excellent value for the cost of my inspections! Matt is an expert home inspector that provided me with great results at a very competitive value. He is very personable and works for his clients. Thorough does not even describe the work done. His work is trustworthy, consistent, and reliable and if you are not handy, as myself, he provides creative ideas that are cost effective to maintain the shape of your home and increase its value! I often have clients request a home inspector. I can honestly say that Matt has been referred to several of my clients and has gotten rave reviews from all of them. He is professional, organized and knowledgeable. I have used him myself as well. If you ever need a GREAT Home Inspector, Matt from Third Eye is the best.